The BSD blade disc is manufactured from a unique material known as “discalloy”. Made in the UK, the BSD discs is available for both front and rear fitments. The Uniquely created blade slot design helps to remove hot gases from the braking zone in a quick and efficient way much more so than a uni-directional slot. This helps to keep the pads flatter and the brakes cooler. The function of the multiple overlap slots reduce the brake wind noise. 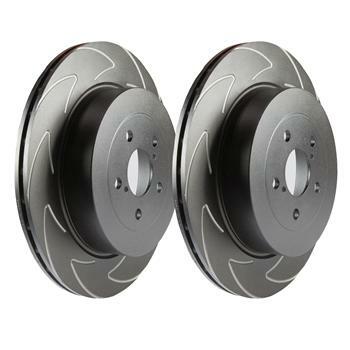 The initial launch range of blade discs covers 80% of the European vehicle market for sport brakes. Used in conjunction with EBC Greenstuff sport brakes pads or the top selling Redstuff Brake Pads or Highest performing Yellowstuff brake pads range these brake discs are designed to stop faster and run cooler with less thermal distortions plus great looks. 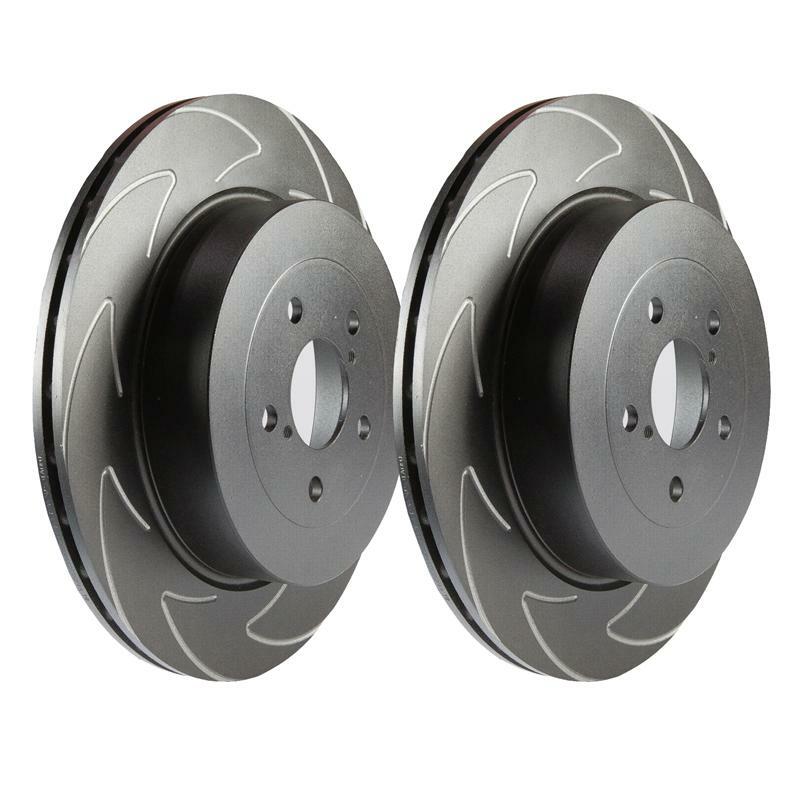 The all conquering new EBC Bluestuff NDX brake pads will also work well with these discs, full details can be seen by clicking the links above.